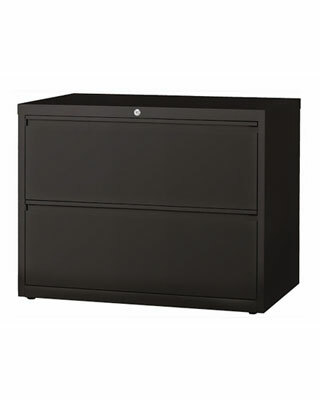 The Mayline HLT362 - CSII - 2 Drawer Lateral File is 36" wide and is an a very heavy duty file cabinet that works great in any commercial or home office. With a weighted base, thick metal, very thick paint you can't go wrong. We use these here in the EngineerSupply office and they are built to last a lifetime. This is one of those products you hope they never stop making because they are so well built.